Set of 10 Resume + Cover Letter for creating wonderful results. Resume: Microsoft Word (.docx) Adobe Photoshop (.psd) Adobe Illustrator (.ai) PDF. Coverletter: Microsoft Word (.docx) Adobe Photoshop (.psd) Adobe Illustrator (.ai) PDF. File format: .psd, pdf, .docx, .ai for Photoshop or other software. 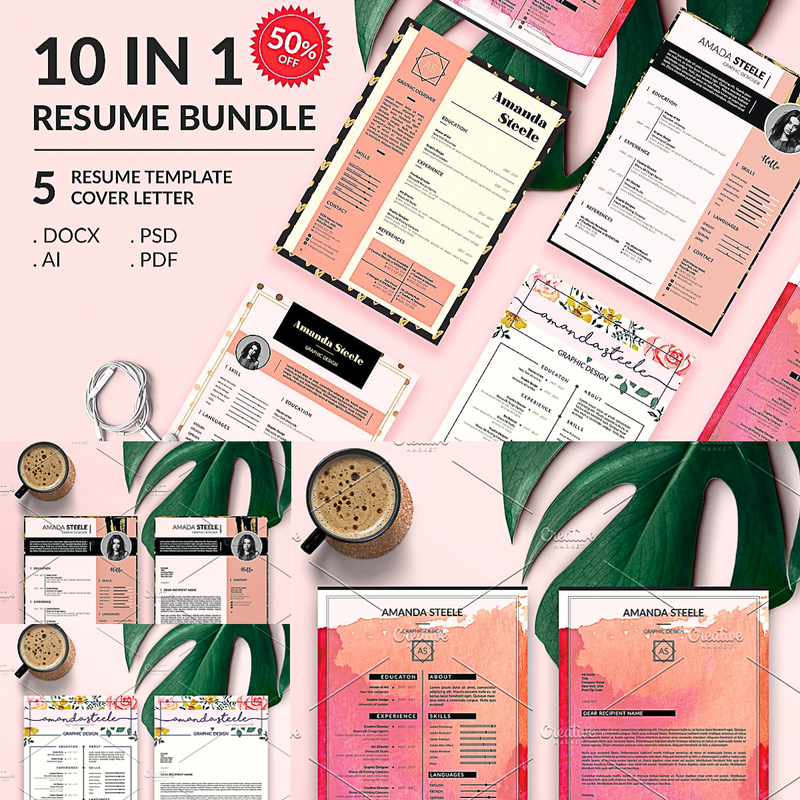 Tags: black, cv, floral cv, modern design, resume, resume bundle, rose gold, watercolor, word template.